Rotational molding is one of many plastic processes specifically known for producing extremely durable parts with a very long lifespan. Many materials can be roto-molded but polyethylene is the most commonly used material. Requirements for this process includes a mold or tool, which can be built by a number of methods, including casting, machining or fabricating a mold. 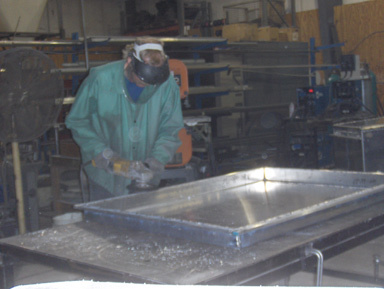 Design for rotomolding is essential to successful part production. Granger Plastics Company is an authority in rotational molding with specialized experience with large, complex products, complete offering of secondary services including, trim, assembly, foam filling, packaging, drop shipping, material conversion from less durable materials to polyethlene and more. The rotomolding experts at Granger Plastics can help you determine if the rotational molding process is right to produce your part or project. Rotational Molding is an extremely specialized and unique process. Heat is used to melt and fuse plastic resin in a closed mold. Unlike most other plastic molding processes, no pressure is involved. The four-stage process includes loading the resin in the mold, heating and fusing the resin, cooling and finally unloading the part from the mold. After the charged mold is moved into an oven, the mold is rotated simply upon a rotating two axes arm at a low speed. As heat penetrates the mold, the resin adheres to the mold's inner surface until it is completely fused. The mold is then cooled by air or water spray or a combination of both, while still rotating, thus lowering the temperature in a gradual manner. The mold is opened, finished part removed and the mold is recharged for the next cycle. A variety of materials are available. The most widely used is polyethylene. Other potential materials include plastisols, nylon, fluoropolymers, polycarbonate, polypropylene, polyurethane, and elastomers. With the Rotational Molding process, parts can be molded economically in a variety of shapes and sizes, many of them would be impossible to produce by any other process. Learn more about the rotomolding process by clicking the link below and also watch as Alli, from Granger Plastics Company gives a detailed explanation of the rotational molding process, providing knowledge and insight to the multi-step process. Learn about the processing steps and some of the products that are manufactured via rotomolding. 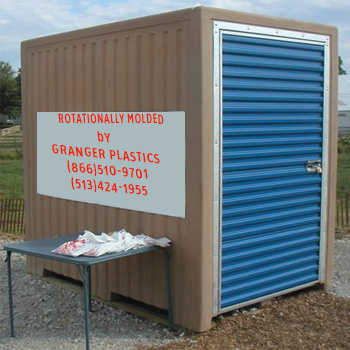 The Granger Plastics Company is a full service custom rotational molder that excels at molding parts of all sizes, shapes and for many applications. With wall thicknesses that range from .250 inches to 1" and greater Granger is able to manufacture parts with many capacities. A variety of materials are available to suit particular needs including prime virgin material, recycled and reprocessed materials as well as FDA approved food grade materials. Assembly services are also available for custom orders. Offering excellence in design services for businesses partnering with Granger Plastics, this rotational molder is known worldwide for manufacturing extremely durable products that have incredibly long life expectancies and are capable of handling the abuse and punishment of everyday use for years and years to come. High quality custom rotomolding by Granger allows many OEMs and manufacturers to focus on their core business, which often is not rotational molding. However, due to Granger's quality driven focus, a number of rotomolding companies have outsourced custom rotational molding projects to Granger due to capacity, size or even quality limitations. 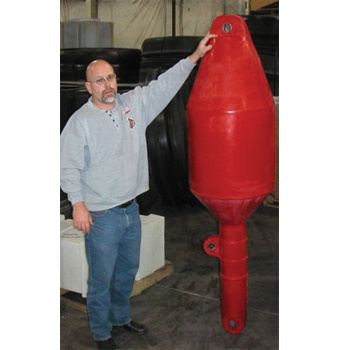 Granger's ability to provide high quality, custom rotationally molded solutions to a number of OEMs and manufacturers, both large and small encompasses a diverse and complex range of industry ranging from Aerospace, Defense, Drainage, Material Handling and so much more. Grangers involvement in nearly most all industry allows provides a growing expertise with a "can do" attitude. Learn more about the custom rotational molding process and the steps necessary to get a custom rotomolding project off the ground and into production. 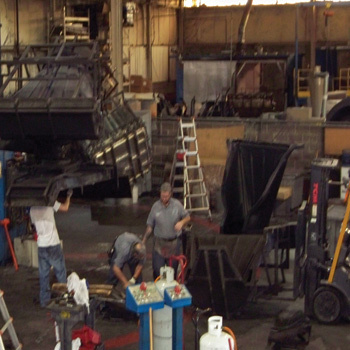 Granger Plastics Company, American rotational molding leader, is available for complete custom manufacturing services including costing, design, mold making, manufacturing, assembly, order fulfillment and warehousing. 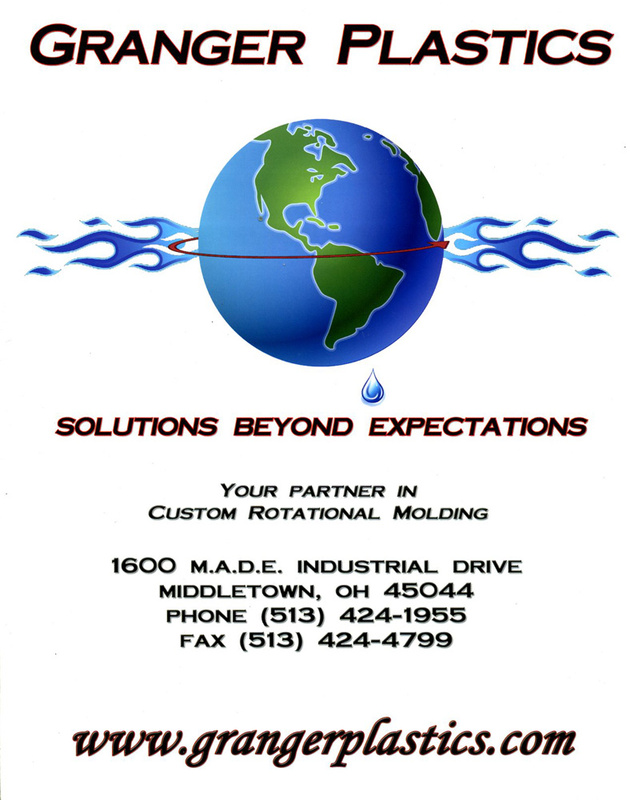 Contact Granger about your rotational molding project today and let our experience guide you to excellence. Click on any of the thumbnail images to the right to see the image in the larger gallery view. To learn about Rotomolded Products and capabilities, please see the Granger Plastics Products & Capabilities. See the industry leading Granger ISS Storm Shelter go thru FEMA 320 and FEMA 361 testing using the SAME DOOR! How is that for Rotational Molding strength and durability!